I. MKULTRA AND THE CIA VS. SIMS CASE - The disclosure of the project researchers and institutions involved in MKULTRA was the subject of the landmark United States Supreme Court case, Central Intelligence Agency vs John Cary Sims and Sidney M. Wolfe, 471 U.S. 159, 85 L.Ed. 2d, 105 S.Ct. 1881 (1985). Direct quotes from the U.S. Supreme Court decision and/or briefs are noted below in quotations. The full text of the U.S. Supreme Court's opinion can be accessed for free by typing in "471 US 159" at findlaw.com. On August 22, 1977, John C. Sims, an attorney, and Sidney M. Wolfe, M.D., the director of the Public Citizen Health Research Group, filed a request with the Central Intelligence Agency seeking certain information about MKULTRA. Invoking the Freedom of Information Act (FOIA), 5 U.S.C. 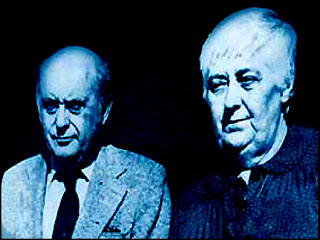 ß 552, Sims and Wolfe sought the grant proposals and contracts awarded under the MKULTRA program and the names of the institutions and individuals that had performed research. UNWITTING HUMAN SUBJECTS - "Several MKULTRA subprojects involved experiments where researchers surreptitiously administered dangerous drugs, such as LSD, to unwitting human subjects. At least two persons died as a result of MKULTRA experiments, and others may have suffered impaired health because of the testing. See id., at 392-403. This type of experimentation is now expressly forbidden by Executive Order. Exec. Order No. 12333, ß 2.10, 3 CFR 213 (1982)". Id. p. 162, fn.2. THE 1973 RECORDS DESTRUCTION - "Twenty years after the conception of the MKULTRA project, all known files pertaining to MKULTRA were ordered destroyed. Final Report, at 389-390, 403-405. In 1977, the Agency located some 8,000 pages of previously undisclosed MKULTRA documents. These consisted mostly of financial records that had inadvertently survived the 1973 records destruction. Upon this discovery, Agency Director Stansfield Turner notified the Senate Select Committee on Intelligence and later testified at a joint hearing before the Select Committee and the Subcommittee on Health and Scientific Resources of the Senate Committee on Human Resources. Although the Joint Committee was given a complete list of the MKULTRA researchers and institutions, the Committee honored the Agency's request to treat the names as confidential. Respondents sought the surviving MKULTRA records that would provide this information". Id. p. 163, fn.5. 59 INSTITUTIONS DISCLOSED/ OTHERS REMAIN SECRET - "The Agency tried to contact each institution involved in MKULTRA to ask permission to disclose its identity; it released the names of the 59 institutions that had consented. Evidently, the Agency made no parallel effort to contact the 185 individual researchers". Id. p. 163, fn.7. The U.S. Supreme Court held that the identities of MKULTRA researchers did not have to be disclosed, as they were protected "intelligence sources" under the FOIA, nor was the director of the CIA required to disclose the institutional affiliations of the exempt researchers. II. UNITED STATES VS STANLEY - Two years after its decision in CIA vs Sims, the US Supreme Court again confronted issues related to MKULTRA and the use of LSD on unwitting human subjects in United States vs Stanley, 483 U.S. 669 (1987). The full opinion is accessible for freethrough. In February 1958, James B. Stanley, a master sergeant in the Army stationed at Fort Knox, Kentucky, volunteered to participate in a program ostensibly designed to test the effectiveness of protective clothing and equipment as defenses against chemical warfare. He was released from his then-current duties and went to the Army's Chemical Warfare Laboratories at the Aberdeen Proving Grounds in Maryland. Four times that month, Stanley was secretly administered doses of lysergic acid diethylamide (LSD), pursuant to an Army plan to study the effects of the drug on human subjects. As a result of the LSD exposure, Stanley claimed to have suffered from hallucinations and periods of incoherence and memory loss, was impaired in his military performance, and would on occasion "awake from sleep at night and, without reason, violently beat his wife and children, later being unable to recall the entire incident." App.5. He was discharged from the Army in 1969. One year later, his marriage dissolved because of the personality changes wrought by the LSD. US v Stanley, page 691. Twenty-seven years later, on December 10, 1975, the Army sent Stanley a letter soliciting his cooperation in a study of the long-term effects of LSD on "volunteers who participated" in the 1958 tests. This was the Government's first notification to Stanley that he had been given LSD during his time in Maryland. After an administrative claim for compensation was denied by the Army, Stanley filed suit under the Federal Tort Claims Act (FTCA), 28 U.S.C. ß 2671 et seq., alleging negligence in the administration, supervision, and subsequent monitoring of the drug testing program. *Who was named in the Stanley suit - Stanley named Joseph R. Bertino, MD; Board of Regents of the University of Maryland; H.D. Collier; Albert Dreiscach; Bernard G. Elfert; Sidney Gottlieb, M.D. ; Richard Helms; Gerald Klee, M.D. ; Van Sim, M.D. ; Walter Weintraub, M.D. ; and unknown individual federal and state agents and officers. US vs Stanley 483 US 674, footnote 2. *The legal ruling in Stanley - Since Stanley was a serviceman at the time of the experiments, the Court held that his claim was barred under a legal doctrine known as the Feres doctrine. Feres insulates the government from liability for injuries to servicemen resulting from activity "incident to service". Worse yet, the majority of the U.S. Supreme Court also held that Stanley's Bivens claims for constitutional violations against the individual federal officials involved in the secret project were also barred by governmental immunity. *The medical trials at Nuremberg in 1947 deeply impressed upon the world that experimentation with unknowing human subjects is morally and legally unacceptable. The United States Military Tribunal established the Nuremberg Code as a standard against which to judge German scientists who experimented with human subjects. Its first principle was: "1. The voluntary consent of the human subject is absolutely essential. "The duty and responsibility for ascertaining the quality of the consent rests upon each individual who initiates, directs or engages in the experiment. It is a personal duty and responsibility which may not be delegated to another with impunity." United States v. Brandt (The Medical Case), 2 Trials of War Criminals Before the Nuremberg Military Tribunals Under Control Council Law No. 10, pp. 181-182 (1949) The United States military developed the Code, which applies to all citizens - soldiers as well as civilians. US v Stanley, 483 US at 688 (1987). The Army recognized the moral and legal implications of its conduct. In a 1959 Staff Study, the United States Army Intelligence Corps (USAINTC) discussed its covert administration of LSD to soldiers: "`It was always a tenet of Army Intelligence that the basic American principle of dignity and welfare of the individual will not be violated...In intelligence, the stakes involved and the interests of national security may permit a more tolerant interpretation of moral-ethical values, but not legal limits, through necessity...Any claim against the U.S. Government for alleged injury due to EA 1729 [LSD] must be legally shown to have been due to the material. Proper security and appropriate operational techniques can protect the fact of employment of EA 1729.'" Id., at 416-417 (quoting USAINTC Staff Study, Material Testing Program EA 1729, p. 26 (Oct. 15, 1959)). That is, legal liability could be avoided by covering up the LSD experiments. *Justice O'Connor's separate dissent - Nuremberg revisited - Justice O'Connor dissented in part: "No judicially crafted rule should insulate from liability the involuntary and unknowing human experimentation alleged to have occurred in this case. Indeed, as JUSTICE BRENNAN observes, the United States military played an instrumental role in the criminal prosecution of Nazi officials who experimented with human subjects during the Second World War, ante, at 687, and the standards that the Nuremberg Military Tribunals developed to judge the behavior of the defendants stated that the "voluntary consent of the human subject is absolutely essential . . . to satisfy moral, ethical and legal concepts." United States v. Brandt (The Medical Case), 2 Trials of War Criminals Before the Nuremberg Military Tribunals Under Control Council Law No. 10, p. 181 (1949). If this principle is violated the very least that society can do is to see that the victims are compensated, as best they can be, by the perpetrators. I am prepared to say that our Constitution's promise of due process of law guarantees this much. Accordingly, I would permit James Stanley's Bivens action to go forward, and I therefore dissent". How many people? Stanley may have been one of 1,000 used in this project/subproject. In the 1950's, in defiance of this principle, military intelligence agencies and the Central Intelligence Agency (CIA) began surreptitiously testing chemical and biological materials, including LSD. These programs, which were "designed to determine the potential effects of chemical or biological agents when used operationally against individuals unaware that they had received a drug," included drug testing on "unwitting, nonvolunteer" Americans. S. Rep. No. 94-755, Book I, p. 385 (1976) (S. Rep.). James B. Stanley, a master sergeant in the Army, alleges that he was one of 1,000 soldiers covertly administered LSD by Army Intelligence between 1955 and 1958. See id., at 392. This figure differs vastly from the 16 unwitting subjects the CIA identified as having been dosed with LSD in the United States. The CIA did not identify anyone subject to overseas testing. *Massive exposure to radiation - estimated 250,000 military personnel - In Jaffee v. United States, 663 F.2d 1226 (CA3 1981), a former enlisted member of the Army sought damages arising from injuries received in 1953 at Camp Desert Rock, Nevada, where his commanding officers ordered him and thousands of other soldiers to stand unprotected from nuclear radiation while an atomic bomb was exploded nearby. Jaffee developed inoperable cancer in 1977 and alleged that the radiation exposure was the cause. Between 1945 and 1963, an estimated 250,000 military personnel were exposed to large doses of radiation while engaged in maneuvers designed to determine the effectiveness of combat troops in nuclear battlefield conditions. Veterans'. Claims for Disabilities from Nuclear Weapons Testing: Hearing before the Senate Committee on Veterans Affairs, 96th Cong., 1st Sess., 2 (1979). Soldiers were typically positioned one to three miles from nuclear detonation. They were issued no protective clothing (although Atomic Energy Commission personnel were) and were not warned as to the possible dangers of radiation. They were instructed to cover their eyes at detonation; "soldiers with their eyes shut could see the bones in their forearms at the moment of the explosion." Schwartz, Making Intramilitary Tort Law More Civil: A Proposed Reform of the Feres Doctrine, 95 Yale L.J. 992, 994, n. 16 (1986) (discussing firsthand accounts in T. Saffer & O. Kelly, Countdown Zero 43, 75, 152 (1982)). The exposed servicemembers have been disproportionately likely to be afflicted with inoperable cancer and leukemia, as well as a number of nonmalignant disorders. The Jaffee case is discussed in US v Stanley, at page 690 footnote 6. III. ORLIKOW VS UNITED STATES - CIA SETTLEMENT OF SOME CLAIMS - One researcher known to have been funded by the CIA's front organization, the Society for the Investigation of Human Ecology, was Dr. Ewen Cameron. *Ewen Cameron and the Allan Memorial Institute - Subproject Subproject 68 funded by CIA from March 18, 1957 to June 30, 1960. Without conceding liability, in 1988 the CIA agreed to pay $750,000 to settle a case brought on behalf of nine plaintiffs who were subjected to federally funded mind control experiments sponsored by the CIA and conducted by prominent psychiatrist Ewen Cameron, M.D. The experiments included heavy does of LSD, electroshock and psychic driving. Beyond Nuremburg, ABA Journal March 1997, p.26. *What the Senate Congressional Record says of the CIA funded experiments conducted by Cameron under MKULTRA. Information on Cameron's experiments and the CIA's effort to stonewall settlement of the legal case filed by nine of Cameron's victims is contained in the Senate Congressional Record: "THE CIA'S FIRST MAJOR PROJECT IN THE AREA, CALLED ARTICHOKE, WAS RUDIMENTARY COMPARED TO MKULTRA, WHICH SUCCEEDED IT IN 1953. THROUGH FRONT ORGANIZATIONS, THE CIA CHANNELED ABOUT $10 MILLION TO DOZENS OF UNIVERSITIES AND INDEPENDENT RESEARCHERS." Congressional Record - Senate, 99th Cong. 1st Session, Volume 131 No. 106, Part 2, 131 Cong. Rec. S. 11008 citing The Experiments of Dr. D. Ewen Cameron, Washington Post July 28, 1985: "A CIA CHEMIST, SIDNEY GOTTLIEB, SUPERVISED THE MKULTRA PROJECT FROM WITHIN THE AGENCY, DOCUMENTS SHOW. A CIA DOCTOR, LT. COL. JAMES L. MONROE, WORKED UNDERCOVER AND RAN THE SOCIETY FOR THE INVESTIGATION OF HUMAN ECOLOGY, THE ORGANIZATION THAT CHANNELED MONEY TO CAMERON AND THE ALLAN INSTITUTE". Congressional Record - Senate, 99th Cong. 1st Session, Volume 131 No. 106, Part 2, 131 Cong. Rec. S. 11008 citing The Experiments of Dr. D. Ewen Cameron, Washington Post July 28, 1985: "DURING THE WAR, CAMERON WAS PART OF AN INTERNATIONAL COMMITTEE OF PSYCHIATRISTS AND SOCIAL SCIENTISTS WHO STUDIED THE ORIGINS AND NATURE OF NAZI CULTURE. HE PUBLISHED NUMEROUS ARTICLES ON MASS PSYCHOLOGY DURING WARTIME". CAMERON AND THE CIA WERE INTERESTED IN BRAINWASHING AND THE ABILITY TO REDIRECT THOUGHT AND ACTION. THE PATIENTS DID NOT CONSENT TO THE TREATMENT AND WERE NEVER TOLD THEY WERE BEING USED FOR RESEARCH". Congressional Record - Senate, 99th Cong. 1st Session, Volume 131 No. 106, Part 2, 131 Cong. Rec. S. 11008 quoting The Experiments of Dr. D. Ewen Cameron, Washington Post July 28, 1985: "CAMERON, WHO DIED OF A HEART ATTACK WHILE MOUNTAIN CLIMBING IN 1967, HAD BEEN ONE OF THE MOST PROMINENT PSYCHIATRISTS IN NORTH AMERICA. A FORMER PRESIDENT OF BOTH THE CANADIAN AND AMERICAN PSYCHIATRIC ASSOCIATION, HE WAS SELECTED TO DIAGNOSE NAZI FIGURES, INCLUDING RUDOLF HESS, DURING THE NUREMBERG TRIALS. (HE DECLARED HESS SANE.) BUT FOR HIS WORK ON BRAINWASHING AND MIND CONTROL, CRITICS HAVE CALLED HIM A 'MAD SCIENTIST." Congressional Record - Senate, 99th Cong. 1st Session, Volume 131 No. 106, Part 2, 131 Cong. Rec. S. 11008 citing The Experiments of Dr. D. Ewen Cameron, Washington Post July 28, 1985. *Aside from the offensive potential, the development of a comprehensive capability in this field of covert chemical and biological warfare gives us thorough knowledge of the enemy's theoretical potential thus enabling us to defend ourselves against a foe who might not be as restrained in the use of these techniques as we are." Orlikow v United States, 682 F Supp 77, 80 ( DC 1988). The memorandum refers to two "well-defined" fields of endeavor earmarked by the CIA. The first is listed as research to develop a capability in the covert use of biological and chemical materials. The second field, although cited to in the memorandum was erased from the exhibit. See, C.I.A. v. Sims, 471 U.S. 159, 105 S. Ct. 1881, 85 L. Ed. 2d 173 (1985). *The Gateway and Psychic Driving - In 1955, the CIA set up a secret front organization, known as the Society for the Investigation of Human Ecology (SIHE), to fund further studies in mind control. CIA employee, Dr. John Gittinger and Dr. Wolff from Cornell, assisted in the program formation. Approximately a year later, Dr. Gittinger read an article, published in the American Journal of Psychiatry, written by Dr. Ewen Cameron from the Allan Memorial Institute of Psychiatry, and entitled Psychic Driving. The technique involved the playback of a significant statement made by the patient though the use of a continuous loop tape recorder. Certain methods were utilized to reduce defense mechanisms and "depattern" behavior. These techniques were later detailed in an application for research funds submitted to the SIHE. They included the use of "particularly intensive" electroconvulsive shock, sensory isolation, and drug induced continuous sleep for many days using megadoses of LSD-25. Orlikow v United States, 682 F Supp 77, 82 ( DC 1988). Dr. Cameron characterized his work as the "gateway through which he might pass to a new field of psychotherapeutic methods." Psychic Driving, 112 Am. J. Psy. 502 (January, 1956). The claim of the ninth plaintiff, Mrs. Orlikow, was not challenged as untimely by the CIA. *John Mark's, The Search for the "Manchurian Candidate" - The CIA claimed that the plaintiff's should have known of their claims as of 1979 when John Mark's book, The Search for The Manchurian Candidate was published. Q. When you first learned about the Marks book, what was you reaction? Q. I asked you why you were unable to act on that knowledge until late 1982. I asked why you were unable to act as you said. . .
A. Because I couldn't make up my mind. I couldn't believe what I had read. I couldn't believe it's possible. (Weinstein deposition page 80). Fortunately the court held that Louis Weinstein's claim was timely and denied the CIA request to grant summary judgment in favor of the CIA on his claim. The CIA also relied on other articles and television programs in Canada a television program on February, 1979, Fifth Estate television program on March 11, 1980, Quebec Science article on March, 1980, Saturday Night article on June, 1979, MacLean's Magazine article on February 12, 1979, Montreal Star newspaper article on January 29, 1979, Montreal Gazette newspaper article on July 26, 1979, September 11, 1979 and December 12, 1980. CIA asserts that at least 25 articles were written about Dr. Cameron and his funding by the CIA prior to January 1, 1981. The court held, however, that "newspaper articles containing allegations do not necessarily place citizens on notice when there is no evidence that these articles were read". Fortunately the Court did not hold that the publications triggered the running of the statute of limitations. Instead it looked at when each plaintiff had actual notice of their claim. Orlikow v United States, 682 F Supp 77 (D.C. 1988). *The foreign country exception to the waiver of immunity did not apply - In the legal case stemming from Dr. Ewen Cameron's "Psychic Driving" experiments at the Allan Memorial Institute, the U.S. District Court for the District of Columbia in Orlikow v United States, 682 F Supp 77 ( DC 1988) held that the Central Intelligence Agency (CIA) was not entitled to summary judgment against negligence claims of persons subjected unwittingly to drug and other psychic experimentation funded by CIA in 1950s, even though injuries suffered from such human experimentation undeniably occurred in Canada, because the "foreign country exception" to federal tort liability under 28 USCS ß 2680(k) does not exempt United States from liability for acts or omissions, such as negligent funding and supervision of experiments, which occurred here but had their operative effect in another country. Orlikow v United States, 682 F Supp 77 (D.C. 1988). *Psychosis versus reality - In deciding the statute of limitation issue the court had to consider whether the Plaintiff's should or did know of the facts when it is obvious the plaintiffs were diagnosed as suffering from various types of mental dysfunctions even before their "treatment" and allegedly were in varying degrees of mental impairment thereafter.The court acknowledged: " Curiously, often a classic manifestation of people who are afflicted with certain psychotic disorders is the irrational fear that the CIA and FBI is conspiring to harm them. In this case, the CIA involvement is real and the covert nature of the involvement is not contested". Orlikow v United States, 682 F Supp. 77, 94 (D.C. 1988). *The end result of Orlikow - 1988 settlement - The CIA stonewalled and despite pleas by Senate members to settle the claims, the suit dragged on for years settling in 1988 for the relatively modest sum of $750,000.00, split among the remaining eight plaintiffs ( The Court held Morrow's claim filed in March 1981 was time barred). IV. UNITED STATES VS STANLEY GLICKMAN - an artist in Paris - You can read the entire opinion in the Glickman/Kronisch case for free by using the following http://www.tourlaw.edu/. Performing a search in the USCOA link using "Kronisch", you should hit on the Second Circuit's 1998 opinion. In Kronisch v. United States, 150 F.3d 112, 116 (2d Cir. 1998), the executrix of the estate of Stanley Glickman ("Glickman"), by his sister Gloria Kronisch prosecuted a civil suit under the Federal Tort Claims Act alleging that Glickman had been an unwitting participant in a CIA-funded experiment in the 1950s. Glickman had died in 1992. Glickman brought suit against the United States of America and two officials of the Central Intelligence Agency (the "CIA"), Sidney Gottlieb and Richard Helms, alleging that he was one of the victims of the CIA's program to test the effects of mind-altering drugs, including lysergic acid diethylamide ("LSD"), on unwitting subjects beginning in the early 1950s. Glickman claims that Gottlieb or some other agent of the United States government placed LSD in his drink in a Paris cafe in October 1952. In order to meet the perceived threat to national security, substantial programs for the testing and use of chemical and biological agents--including projects involving the surreptitious administration of LSD to unwitting nonvolunteer subjects at all social levels, high and low, native American and foreign--were conceived, and implemented. These programs resulted in substantial violations of the rights of individuals within the United States. In 1975, the Select Committee to Study Governmental Operations with Respect to Intelligence Activities ("the Church Committee") held hearings to investigate the CIA's testing and use of chemical and biological agents. See id. The Church Committee's final report, published in 1976, stated that during late 1940s and early 1950s, "substantial programs for the testing and use of chemical and biological agents - including projects involving the surreptitious administration of LSD to unwitting nonvolunteer subjects . . . were conceived, and implemented. These programs resulted in substantial violations of the rights of individuals within the United States." Id. at 117. Glickman filed an administrative claim with the CIA on December 22, 1981 and then brought suit in March of 1983 following the CIA's denial of his claim. The record indicated, however, that Glickman had watched the hearings before the Subcommittee on Health and Scientific Research of the Senate Committee on Human Resources ("the Kennedy Committee Hearings") in 1977, and that after watching the Kennedy Committee Hearings, he realized that he had been a victim of CIA experiments in 1952. See id. at 121. In response to the hearings, Glickman made a Freedom of Information Act request to the CIA for any documents under his name because he believed that he had been part of the LSD tests. See id. Glickman also wrote letters to Senator Kennedy on October 11, 1977 and on January 28, 1978 urging him to identify the victims of the experiments. See id. at 121-22. Taking these facts into account, the court held that Glickman's claim accrued no later than January 28, 1978, the date of his second letter to Senator Kennedy. See id. at 122. The court did not, however, imply that the Church Committee Report had any bearing on when the statute of limitations on Glickman's cause of action began to run. Rather, it was not until Glickman saw the Kennedy Committee hearings, requested documents from the CIA, and wrote two letters to Senator Kennedy that the statute of limitations began to run. Moreover, Glickman admitted that he first realized his participation in the study as early as 1977. See id. at 121. The US Court of Appeals for the Second Circuit dismissed Glickman's claims against the United States and Richard Helms as time barred. They allowed the individual "Bivens" claim against Sidney Gottlieb to be remanded for trial since this claim was timely. A three year (rather than two year statute of limitations applied to this claim). This claim survived because the Court held Glickman did not realize the direct link to Gottlieb until 1981. Here is what the court said: "Our analysis differs, however, with respect to plaintiff's claim that Gottlieb himself was the person who laced Glickman's drink with LSD. Although plaintiff knew in 1977 that Gottlieb headed the CIA's drug testing program, he only first came to believe that Gottlieb himself was the man who gave him the drink in the Cafe Select when Corren (Glickman's friend) asked him, upon returning from Washington in April 1981, whether any of the men in the cafe had a clubfoot. Plaintiff alleges that he then recalled that the man who gave him the drink was indeed clubfooted--a characteristic, Corren informed him, that was shared by Gottlieb. To the extent that plaintiff's Bivens claims are based on the allegation that he was drugged by somebody connected with the CIA--pursuant to a program installed and executed by Helms and Gottlieb--plaintiff was clearly on notice of these claims. However, it is less clear--and, we believe, a question for the jury--whether plaintiff should have been able, through the exercise of due diligence, to plausibly connect Gottlieb to the man in the cafe prior to being told by Corren that Gottlieb had a clubfoot. Kronisch v US, at 150 F.3d 129 (1998). *Gottlieb's clubbed foot - Gottlieb was the Chief of the Chemical Division of the Technical Service Division (TSD). The CIA tried to argue that Glickman should have known in by 1979 about Gottlieb's clubfoot, if he exercised reasonably diligence, because that was the year John Mark's book The Search for the Manchurian Candidate (W.W. Norton & Co.; New York) was published. The CIA claimed that the book discussed Gottlieb's clubbed foot. The Court was at least unpersuaded by this argument. *What the opinion says about Gottlieb, George White and Harold Abramson - Gottlieb admits that he made approximately six trips to New York in 1952, and that he "visited George White on two or three occasions in 1952 to discuss his becoming a consultant for the CIA in LSD research." Gottlieb Declaration P4. White, a Bureau of Narcotics Agent, conducted LSD tests on unsuspecting persons in New York, including one experiment in which he gave LSD to a group of his friends in his New York apartment in November 1952. The record also reflects that beginning in June 1953, White covertly administered LSD to people in New York with whom he came into contact in his role as a narcotics agent. Gottlieb testified before the Kennedy Committee that White may have conducted his tests on one or more occasions by administering the drug to an unsuspecting person in a bar. Apart from his contacts with White, Gottlieb also declared that he may have visited Dr. Harold Abramson, a physician who later became an MKULTRA consultant, in New York in 1952. See Gottlieb Declaration P 4. According to Gottlieb, "Dr. Abramson may have been engaged in LSD research in 1952 sponsored by TSD, or in which TSD was interested, and if so, I would have had contacts with him about the progress of his research." Id. White and Abramson, in Gottlieb's words, "regularly reported the results" of their research to him. Id. Finally, Gottlieb and others within TSD self-administered LSD during 1951-1953, and Gottlieb "believes that one or more of these administrations took place in a New York City hotel room and . . . that Dr. Abramson may have been present during one of these administrations," although he could "not recall specifically if any self-administrations took place in New York in 1952." Id. P 5. *George White and the CIA's Safehouses - White's project was aimed at the administration of LSD to totally unwitting persons, and may have included, according to Gottlieb's testimony before the Kennedy Committee, administration to an unwitting person in a New York bar on one or more occasions. In the words of the Church Committee Report, the administration of LSD to "unwitting nonvolunteer subjects in normal life settings by undercover officers of the Bureau of Narcotics" was important to the CIA because the "testing of materials under accepted scientific procedures fails to disclose the full pattern of reactions and attributions that may occur in operational situations." Church Committee Report at 391 (internal quotation marks and citation omitted). 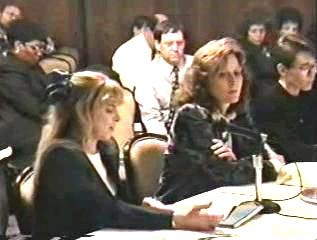 More information on the New York and San Francisco safehouses is contained in the record of the 1977 Kennedy Committee hearing, Project Mkultra, The CIA's Program of Research Behavior Modification; Joint Hearings Before the Select Committee on Intelligence and the Subcommittee on Health and Scientific Research of the Committee on Human Resources United States Senate, 95th Congress, 1st Session, August 3, 1977 at pages 54-57. V. HEINRICH VS WILLIAM SWEET, et al - BORON RADIATION EXPERIMENTS - Heinrich, et al vs William H. Sweet, the Estate of Lee Edward Farr, Massachusetts General Hospital, Associated Universities, Inc., MIT, and the USA, 44 F. Supp. 2d 408; 1999 U.S. Dist. Lexis 5796. The Heinrich case is a class action suit filed in 1997 in the U.S. District Court for the District of Massachusetts on behalf of three deceased individuals by surviving family members. The complaint alleges that during the 1950s and 1960s, the defendants conducted boron radiation experiments on the decedents -- who suffered from terminal brain cancer -- with the knowledge that such experiments offered no therapeutic value to the decedents. The federal court rendered a recent decision on April 20, 1999 rejecting the government's contention that the claims were time barred. The decedents had been treated by Dr. William H. Sweet at MIT and at Dr. Lee Edward Farr at Brookhaven National Laboratory in Upton, New York - a nuclear research center operated by the Associated Universities, Inc. and owned by the U.S. Atomic Energy Commission. As a supposed treatment for brain tumor, the decedent's were unwittingly injected with boron and their skulls irradiated. All suffered excruciating pain and died. In the 1960s, Dr. Sweet and other physicians wrote articles and reports about the failure of the BNCT experiments. These articles and reports indicated that the experiments failed because of inadequate scientific evidence regarding the nature of boron distribution in the human body, inadequate scientific evidence regarding boron chemistry, inadequate scientific evidence regarding the proper shape of a neutron beam for BNCT, and the absence of requisite dosimetric equipment to measure radiation. Furthermore, on September 16, 1982, Dr. Victor Bond ("Dr. Bond"), Dr. Farr's successor as head of the medical department at Brookhaven, stated in an interview that: The early experience was very unfortunate...Then they went beyond that. It wasn't stopped until long after it became evident it wasn't working -- that's the criticism of it. Damage was done to patients just as damage was done with the first external fast neutron radiations, because radiobiology wasn't that well understood. Heinrich vs Sweet, et al, 44 F. Supp. 2d 417, 1999 U.S. Dist. LEXIS 5824 (1999). The plaintiffs successfully argue that they could not reasonably have known about the connection between the injury and BNCT until 1995, when the President's Advisory Committee on Human Radiation Experiments disclosed the facts about the BNCT experiments. The court found that reasonable diligence to discover the claims does not require plaintiffs to scour medical journals such as The Journal of Neuropathology and Experimental Neurology or The American Journal of Roentgenology: Radium Therapy and Nuclear Medicine after their loved ones die of terminal brain cancer. *The 1986 Markey Report - Years before the 1995 report, in 1986, the United States House of Representatives Subcommittee on Energy Conservation and Power prepared a report called "American Nuclear Guinea Pigs: Three Decades of Radiation Experiments on U.S. Citizens" ("the Markey Report"). See Def. Mem. The Markey report revealed the Commission's "frequent and systematic use of human subjects as guinea pigs for radiation experiments" between the 1940s and the 1970s "which provided little or no medical benefit to the subjects." Id. The Markey Report specifically mentioned that Mass General conducted experiments between 1953 and 1957. The Court held that the earlier release of the Markey report did not bar these plaintiff's claims because the boron experiments were conducted in different years than those disclosed in the Markey report. The Court stated: "the discovery rule does not require every potential claimant to examine every document that he or she has the legal power to examine." *The Heinrich case today - Since the government's motion to dismiss the case was denied, the case will continue to be litigated in the U.S. District Court in Massachusetts - Civil Action No. 97-12134 WGY. VI. HYPNOSIS UPDATE- THE MAN WHO HAS MANIPULATED THE LEGAL SYSTEM ON THE STATE OF THE LAW AND HYPNOSIS - ORNE, MARTIN THEODORE, research psychiatrist, psychologist; b. Vienna, Austria, October 16, 1927; s. Frank Edward and Martha (Brunner) O.; m. Emily Farrell Carota, Feb. 3, 1962. A.B. Harvard U., 1948, A.M., 1951, Ph.D., 1958; M.D. Tufts U., 1955; D.Sc. (Hon.) John F. Kennedy U., 1980. Pvt. Practice psychiatry; Boston, 1959-64, Phila., 1964-- lectr. Grad. Sch. Arts and Scis., Harvard U., 1958-59, instr. 1959-62, asso. in psychiatry, 1962-64; asso. prof. Psychiatry U. Pa. Med. Sch. 1964-67, prof., 1967-- dir. studies in hypnosis project Mass. Mental Health Center, Boston, 1960-64; dir. unit for experimental Inst. Of Pa. Hosp., Phila., 1964--, cons. VA Hosp, Phila., 1971--; Mem. NIMH study sect.., Washington, 1966-74, 80-; exec. dir. Inst. Exptl. Psychiatry, Boston, 1961--, Editor:Internat. Jour. of Clinical and Experimental Hypnosis, 1964--, (with R.E. Shor) The Nature of Hypnosis:Selected Basic Readings, 1965; Contrbr. numerous articles, also chpts. to sci. Books, publs, Served with AUS, 1945-47. Rantoul scholar, 1949-50; Fulbright scholar, 1960. Fellow AAAS, AMA, Am. Psychiatrat. Assn., Am. Psychol. Assn., Am. Soc. Clin. Hypnosis, N.Y. Acad. Sci., Soc. Clin. And Exptl. Hypnosis (pres. 1971-73); mem. Assn. Psychophysiol. Study Sleep, Biofeedback Research Soc., Am. Psychosomatic Soc., Internat. Soc. Hypnosis (pres. 1976-79), Psychat. Research Soc., soc. Psychophysiol. Research, Soc. Psychotherapy Research Soc., Soc. Psychophysiol. Research, Soc. Pyschotherapy Research, Royal Soc. Medicine (hon..). Home: 290 Sycamore Ave., Merion Station PA 19066 Office: 111 N. 49th St Philadelphia PA 19139.
WHO'S WHO IN AMERICA, 43rd ed. 1984-1985, Vol. 2. - Orne is now on the scientific advisory board of the False Memory Syndrome Foundation, a Philadelphia based organization which advocates the interests of those accused of child sexual abuse and sexual assault. Orne is also among many on the Editorial Advisory Board of Cultic Studies Journal: Psychological Manipulation and Society, American Family Foundation. HUMAN ECOLOGY/MKULTRA - Orne is listed above as the director of studies in hypnosis project at Massachusetts Mental Health Center in Boston from 1960-1964, the executive director of the Institute of Experimental Psychiatry in Boston, 1961--- and as a lecturer at Harvard from 1958-1959, an instructor at Harvard from 1959-1962 and as an associate in psychiatry from 1962-1964. In a chapter on the Society for the Investigation of Human Ecology, in his book The Search for the "Manchurian Candidate" (W.W. Norton and Company: New York), John Mark's notes: The Society demanded "no stupid progress reports," recalls psychologist and psychiatrist Martin Orne, who received a grant to support his Harvard research on hypnotism . As a further sign of generosity and trust, the Society gave Orne a follow-on $30,000 grant with no specified purpose. A 1962 report of Orne's laboratory, the Institute for Experimental Psychiatry, showed that it received two sizable grants before the end of that year: $30,000 from Human Ecology and $30,000 from Scientific Engineering Institute, another CIA front organization. Orne says he was not aware of the latter group's Agency connection at the time, but learned of it later. He used its grant to study new ways of using the polygraph. The Search for the "Manchurian Candidate", John Marks, W. W. Norton & Company 1991, p.172-173. The Society for the Investigation of Human Ecology is listed among the private medical research foundations funded by the CIA, initially under projects Bluebird and Artichoke, which later became MKULTRA and MKDELTA. See, "Private Agencies Used in C.I.A. Mind-Control Drive", New York Times, p. 16, August 2, 1977. While Orne is not named in the New York Times article, among those testing sites listed and mapped in the New York Times, is Massachusetts Mental Health Center in Boston where Orne was the director of studies on hypnosis from 1960-1964. INSTITUTE FOR EXPERIMENTAL PSYCHIATRY - Orne was the Executive Director of the Institute for Experimental Psychiatry. The court record in the U.S. Supreme Court case of CIA vs Sims, includes a partially redacted undated memorandum in the Joint Appendix entitled "Memorandum for: Deputy Director for Support; Subject: Institute for Experimental Psychiatry". This CIA memorandum on Orne's Institute for Experimental Psychiatry discusses the flow of grant funds through an intermediary to the "Institute". "We are convinced that our determination, i.e., that the [Deleted] is not a university-related entity, is proper and correct. We are of the further opinion that the flow of funds from the [Deleted] through [Deleted] to the Institute does not put this relationship in opposition to current Agency policy...". CIA vs Sims, 471 U.S. 159, 85 L.Ed. 2d, 105 S.Ct. 1881 (1985) - Joint Appendix page 62. MEMORANDUM FOR SUBPROJECT 84 - On the MKULTRA institutional notification list attached to Brief for Respondents In No. 83-1075 and Brief for Petitioners in No. 83-1249, pp. 1a-10a, Harvard University, Cambridge Massachusetts is listed next to subprojects 84 and 92. John Mark's states: "Martin Orne's work for the Agency was described in Subproject 84. He contributed a chapter to the Society-funded book, The Manipulation of Human Behavior, edited by Albert Biderman and Herbert Zimmer (New York: John Wiley & Sons; 1961), pp. 169-215. Financial data on Orne's Institute for Experimental Psychiatry came from a filing with the Commonwealth of Massachusetts, Attachment to Form 1023". Other contributors to this book include Lawrence Hinkle, M.D. of New York Hospital-Cornell Medical Center. Hinkle was identified by the New York Times, together with Dr. D. Ewen Cameron, Dr. Robert Hyde, Dr. Louis Jolyon West, Dr. Harris Isbell, Dr. Harold Abramson, Dr. Carl Pieiffer and Dr. Charles Geschikter as all being involved in CIA backed research under Bluebird, Artichoke and MKULTRA. ***6. This project has been handled to date in a Government Sterile fashion and none of the personnel at [Deleted] have been witting of true sponsorship. It is contemplated that Dr. [Deleted] will be made witting of the sponsorship and purpose on or about 1 September 1960 in order to guide his project along lines that will further Agency operational needs. Note, the date of this memoradum which mentions the "continuation" of subproject 84 overlaps with the period of time when Orne was the director of hypnosis studies at Massachusetts Mental Health Center and when he was an instructor at Harvard. According to the Kennedy Committee report, there were 8 subprojects, including 2 involving hypnosis and drugs in combination under MKULTRA. These excerpts are from: Project MKULTRA, The CIA's Program of Research in Behavioral Modification; Joint Hearing Before the Select Committee on Intelligence and the Subcommittee on Health and Scientific Research of the Committee on Human Resources, United States Senate, 95th Congress, 1st Session August 3, 1977. Senator Richard S. Schweiker, then Senator from Pennsylvania, sat on the both the Committee of Human Resources and the Subcommittee on Health and Scientific Research. Senator Schweiker: The other question I had relates to the development of something which has been called the perfect concussion. A series of experiments toward that end were described in the CIA documents. I wonder if you would just tell us what your understanding of perfect concussion is. Admiral Turner: Is that in my testimony, sir, or in some other document? Senator Schweiker: Subproject 54, MKULTRA, which involved examination of techniques to cause brain concussions and amnesia by using weapons or sound waves to strike individuals without giving warning and without leaving any clear physical marks. Someone dubbed it "perfect concussion" -- maybe that was poetic license on the part of our staff rather than your poets over there. I wonder if you could just tell us what brain concussion experiments were about? Admiral Turner: This project, No. 54, was canceled, and never carried out. Senator Schweiker: Well, I do believe the first year of the project in 1955 was carried out by the Office of Naval Research, according to the information that you supplied us. The CIA seems to have been participating in some way at that point, because the records go on to say that the experimenter at ONR found out about CIA's role, discovered that it was a cover, and then the project was transferred to MKULTRA in 1956. Again, this is all from the backup material you have given us. So, it was canceled at some time. I am not disagreeing with that, but apparently for at least a year or two, somebody was investigating the production of brain concussions with special blackjacks, sound waves, and other methods as detailed in the backup material. Mr. Laubinger corrected his testimony regarding Subproject 54 during the September 21, 1977 hearings before the Subcommitee on Health and Scientific Research of the Human Resources Committee. The relevant portion is reproduced below: Mr. Laubinger: On Project 54, it has got a rather sensational proposal in there, in terms of the work that they propose to do, and you asked about the proposal and I said, in fact, it was never funded under MKULTRA. Now, I overlooked -- at least, my memory did not serve me correctly when I went through that file folder to see one memorandum dated January 10, 1956, which makes it quite clear, as a matter of fact, that that proposal was based on prior work that was funded by the Agency. Mr. Laubinger: By the CIA. So, that information was in their file folder. It did not happen to be in my head when I testified. Senator Schweiker: I think I might have read you that, and that is why I argued at the time with you, because I think I had in front of me, as I recall, some indication that it was funded there. I did read that to you. So, you did supply it to us; there is no argument about that information. Mr. Laubinger: Perhaps I am sort of headstrong, myself, and in my own view, I am reading under the ULTRA project, that if it had been funded under ULTRA, it would have had a project number and identified as such. The thing that threw me was that it was funded, apparently, outside of any MKULTRA activity and it was under the normal contracting process, so that it was not included in MKULTRA as any work done under that funding umbrella. The file folder that you have and I have, right here, makes it quite clear, however, that a year's work was done through navy funding -- a navy funding mechanism -- on which the proposal was based that ultimately came into the MKULTRA program. That second proposal was never funded. So, there was conflict and I, personally, I think, introduced a little bit of confusion in that in my testimony. Senator Schweiker: Well, do you agree or not agree with DOD's statement here that even though the initial funding was navy, it was really a conduit for the CIA? Mr. Laubinger: I think that is correct. Senator Schweiker: Yes; I would appreciate that. I would like to know how it went from NOR to CIA after a year. Somebody made a decision to make that transfer, and to make this an MKULTRA subject. There had to be some sort of review that led to a decision to continue that kind of concussion -- total blackout, maximum amnesia, and whatever else it was you were interested in -- study and testing. Mr. Laubinger: Senator, if I may try to say a few words on that, the files that were available to us for inspection, which are limited, indicated that there was a project being carried on by the Navy having to do with the effects of brain concussion. The CIA developed an interest in that, and considered funding it, but actually never did, and as the admiral testified, the MKULTRA is merely a funding mechanism, a place they go for money to do such things, but there is no evidence that I know of that that project was ever funded. Senator Schweiker: Well, I am confused, because here again is another quote from a document that we have seen, which you have released and supplied to us. Following is the technical progress made under the current [deleted] contract: (a) Specialized Instrumentation and numerous testing techniques have been developed to obtain the desired dynamic data; (b) considerable data has now been obtained supporting the resonance-cavitation theory of brain concussion; and (c) preliminary acceleration threshold data has been obtained for a fluid-filled glass simulated skull. It goes on to talk about a blast range and a 2,500 square foot laboratory. The documents note that "three blast test series have been run to date." It describes a special blackjack device, a "pancake type blackjack giving a high peak impact force with a low unit surface pressure." Mr. Laubinger: Senator, you are putting us in the same position I think you were stating that you were in earlier in referring to documents not before us, but I believe you are quoting from a proposal that someone sent to the Agency to fund this work, and he is referring to past work. The past work would have encompassed a lot of things like that, but CIA was not involved with that. [the transcript continues with an inquiry related to projects concerning the use of magician's arts (Source: THE LAW and MIND CONTROL).